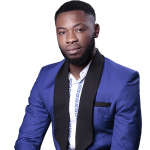 (An interview with Daniel Onwe, the CEO and co-founder DNO GROUP. Best Iron Rod wholesaler and supplier with trailer services in Nigeria). If you are looking for a way to Start a Construction Steel Rods Supply Business in Nigeria, need a contact of iron rod supplier? want to understand the secret of steel rod business?, the read this interview to the very last sentence. EN: Sir, can you tell me about your business and the services you offer. Daniel: Alright, my company deals on Iron Rod sales and supply with trailers to convey them to your various destinations. As we all know iron rod is a very important material when you talk about building and construction in Nigeria or any part of the world. It’s as vital and important as cement. I must tell you that I,ve been into this business for 25 years now and bet you me it’s my testimony. I guess it’s to give the run-down of this business because I feel I have to; having seen the zeal in you about the business. Iron rod business made me a multi-millionaire and you can start the same business to change your story. (From Chrisent; Have you ever been thinking about how to Start a Construction Steel Rods Supply Business in Nigeria but don’t know how to go about it? Worry no more, by the time you are done reading this article, you would get to understand how this business Daniel have been doing since 1990 works and step by step guide on how to get started. How to start this business is really simple and not difficult at all and anyone can do it. Like every other good businesses, iron rod or steel rod supply business has good returns on investment. It’s indeed a lucrative business in Nigeria. For instance, One length of 16mm – Iron Rod sells for about N3,000 retail price. You buy it at N120,000 per tonne and get 52 pieces. When you sell it all, you would get N36,000 profit. The profit could be much higher or lower depending on how much you buy but DNO is currently the best wholesaler you can contact and buy your goods from a trusted wholesaler with trailers available to convey them for you. The price of iron in the market varies greatly and there are different price for imported ones compared to the ones that are made in Nigerian. The analysis above is to give you the idea of what the profit in the business looks like. Your target will always be to get product at the pest price possible; and DNO is the best place you can do that. I choose to write about this business because it has made many people rich, not just the money in it but the less stress you get if you really know how to play the game. Iron rod business has a very large market in Nigeria and new building and construction works are embarked upon on daily basis. That makes trading on this material is very viable because you are sure of constant sales. You need a space by the roadside at any developed or developing town and your start-up capital and you are good to go. You don’t need to keep too many logistics and starting up expenses is highly minimized). EN: So sir, what are the price tags of your products. Daniel: We sale depending on the current time of production, The price of Rod today may change the next minute after leaving the company. It changes like Chameleon and can stay at a particular price for months depending. 25mm – About N7,000 per length. 21 pieces make a tonne. It cost N120,000 per tonnage. 20mm – About N4,000 per length. 33 pieces make a tonne. N120,000 per tonnage. 16mm – Around N2, 200 per length. 52 pieces make a tonne. N120,000 per tonnage. 12mm – About N1, 200 per length. 93 pieces make a tonne. N120,000 per tonnage. 10mm – Cost around N1,200 per length. 133 pieces make a tonne. N120,000 per tonnage. 8mm – N700 per length. You get 210 pieces per tonne at N120,000 per tonnage. EN: Waoo, Interesting, so sir how can one get started with this business and what and what is required? Daniel: Ok. First of all, you have to make up your mind for the business, Get your start-up capital ready, the Get a space by the roadside in a developing area preferably and then buy your product from a supplier and start marketing your goods for profit. Based on the estimated price analysis I told you, you know how much you would be needing according to the quantity you want to start with. And one more thing, the business demands you to be trustworthy and no lies. EN: Sir, why did you say a developing area instead of a main town. Daniel: The reason why i said anyone who wants to do the business as a sole proprietorship investment should choose a developing area is because the material sells more for average traders in these areas since large cities are now expanding into the less developed area making them a developing area. So if you can start the business by making the materials available for them in these areas, you will have many advantages above those inside town and at the same time, you avoid too much competition which may not be good for a starter. Big construction companies handling big projects like the roads, building of companies and other massive structures used to get their materials direct from the licenced wholesalers of iron rods or even the manufacturing companies itself. Therefore, your major target customers are mainly private and commercial building construction people. EN: Sir is there any other advice, word or help you can give to anyone who wants to start a Construction Steel Rods Supply Business? 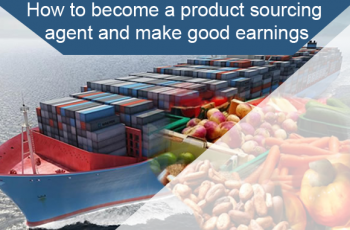 Daniel: Once you have sorted out the space for your goods, you proceed to source for your fund. The most popular steel rods in your target market that makes sales more than others are from 16mm, 12mm, 10mm, 8mm, and 6mm downwards. These are the most popular steels used for private and commercial building and concrete works anywhere. The best places to buy your steel rods as a retailer is to buy from a licensed wholesaler since you cannot buy from steel manufacturer himself. look for the one nearest to you and get your constant supply there. Here at DNO AND CO NIG LTD, we sale all sizes of iron rods at the best wholesale price as well as provide all our customers with trailer and 911 for the goods they buy from us to any part of the country at negotiated price. EN: Waoo, I’ve really learnt a lot sir, it would be cool if you can give out your contact and believe you me the person reading this message you gave out now will be interested in starting this business of Iron Rod soon. Daniel: Alright, anyone interested in starting this business or that wants to buy from us including our truck services can contact us through the following. EN: It’s really an opportunity having a conversation like this with you sir. Thank you for your time. Alright everyone out there, you all have heard our little conversation, and once again is Daniel Onwe, the CEO of DNO group. If you are cool with this conversation, interested in the business, have any idea to chip in or have any other question about how Start a Construction Steel Rods Supply Business that needs to be discussed, kindly drop your comment.